Scorching summer heat took a toll on our trees. Heal them and prep them for winter by fertilizing in fall. Many of us might remember to fertilize lawns in early fall, but we often take our established trees and shrubs for granted and forget to give them special care. Spring is typically the only time most people think to provide fertilizer for the landscape. However, at this time of year, plants will utilize the nutrients you provide in a different way than they will in springtime. There are numerous reasons our landscapes need attention in the autumn. We are well aware that summer temperatures can be scorching in the Dallas-Fort Worth area. Summer heat causes rapid breakdown of nutrients in the soil. Taking simple steps to give your entire landscape proper nourishment needed after this stressful period can rebuild roots and other plant tissues damaged or destroyed by stretches of drought as well as insects infestations. While our summers are almost always long and hot, winters weather can fluctuate. Some years are mild with cold temperatures lasting only a few weeks at a time. However, it is not unusual to experience severe ice storms in Texas with heavy damaging sleet and fluctuating temperature extremes in a single day. Shrubs and trees that have suffered drought and other stresses during summer are much more susceptible to damage during these winter storms. When we blow or rake away and bag up fallen leaves each year, we remove a valuable source of natural plant nourishment. 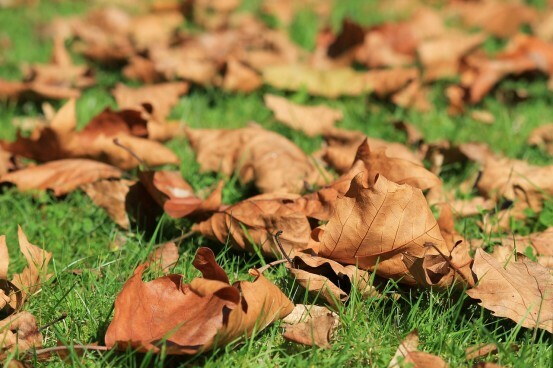 While our lawns will not remain healthy if we allow heavy layers of leaves to remain on them for too long, we can allow shredded particles to trickle down to the soil surface by mowing over the leaves creating a free source of mulch. Use your mower to mulch the leaves and make the most use of them. Leaves can also be added to your compost pile or shredded up under hedges. Leave a thin layer of leaves on grass then mow over so the “mulched” leaves add nutrients to the soil. Keep in mind that high levels of nutrients are not necessary at this time of year and synthetic fertilizers are not recommended. The treatment we prescribe in fall as part of our year round program focused on soil building provides food for living microbe populations and encourages beneficial mycorrhizae. These organisms do much of the work for you by increasing moisture retention and decomposing available nutrients. 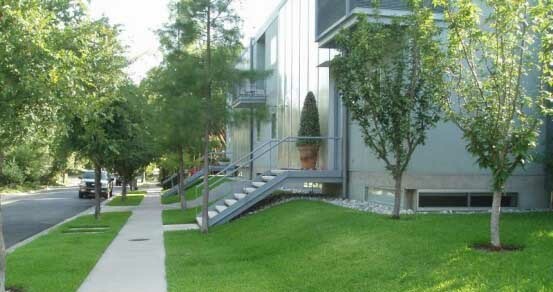 This allows your urban environment to function and thrive in the healthy, integrated way of natural landscapes.